Here's the second poster in the new 'Grammar' series, this time about teaching the Simple Past. Even though some of you may be familiar with a few of these nice and short activities, we're sure something might still come in handy some day! Click the image below to view the HI-RES print-friendly poster. 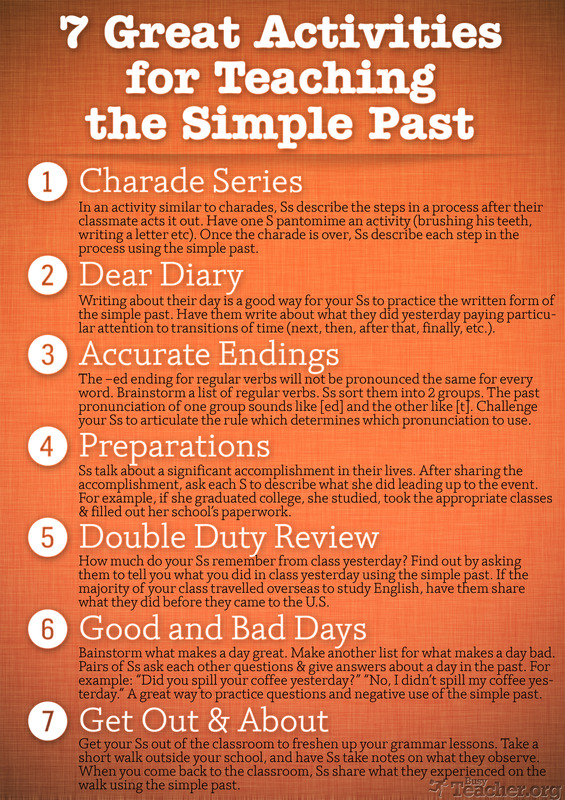 If you think these Simple Past ideas are useful, please feel free to share the link on Facebook, tweet about this poster, pin it onto your Pinterest board, or shoot an email to your fellow teachers! Happy teaching!